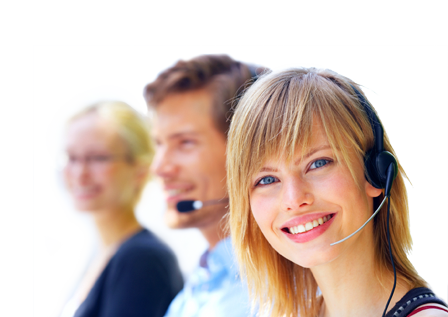 Media Messages and On Hold Messages Brisbane is Australia’s leading on hold message provider. Media Messages specialises in high quality telephone messages, on hold messages and on hold music productions delivered on a wide range of digital message equipment. Business savvy people across Brisbane and the rest of Australia are now realising the potential of this incredibly priced, yet highly effective marketing tool. With the help of the Media Messages team you can have creative messages about your business that not only sound amazing, but will create that incredible first impression on your callers. Professionally tailored messages are all about advertising of your products, educating your listener about your business and products, and then branding your business in a way that can only help it grow expeditiously. On Hold Messages really is the most powerful business marketing tool available right now. They add to your business by creating a professional sounding image and informing your callers about important aspects of your business that they may not have been made aware of prior to calling. To see how you could reach your customers through messages on hold, let our creative team script, record and mix your very own personalised messages on hold today. If you are looking for the most cost effective marketing tool available right now, then look no further than Media Messages and On Hold Messages Brisbane. Many companies spend large budgets marketing and advertising across a range of media platforms, but at the end of the day what sort of first impression their callers get when they first call? It is in this initial telephone call where on hold messages create your customer’s first impressions of your business based on what they hear. Putting customers on hold is usually an unavoidable task, but there is plenty of untapped advertising space right there! You can educate your caller on your range of products, keep them up to date on all your special offers and increase the knowledge of your business with your caller. Without on hold messages, you will miss out on a simple opportunity to captivate your listener, brand your business and increase sales. You can market your business that easily with one phone call, so for on hold messages in Brisbane speak with Media Messages today. Message 1: Redlands PCYC, provides a wide range of activities for the whole family- including activities designed to get kids moving- like active kids, indoor play gym; gymnastics; basketball, badminton; ju jitsu; Tae Kwon Do; Tai Chi; Boxing; cheerleading; mixed martial arts, fitness centre, school age care and even model aircraft flying! Speak to us today about our available activities and remember- Redlands PCYC is a wonderfully safe place to make friends and grow! Message 2: Looking to take the next step and get fit, then step right into Redlands PCYC! We believe being happy and healthy doesn’t have to cost the earth which is why we have a fully equipped gym with separate private airconditioned cardio room and strength room- everything you need for a full workout for only $9 per week with no contracts! Like to try it for yourself, then stay on the line and we won’t be too much longer. Have a chat to Media Messages today and if your customers are hanging up, or commenting on your silence, radio or chimes, we can help fix it! Our script writers and audio production masters can compose your very own polished, informative and entertaining on hold messages that will suit your individual business no matter your industry. 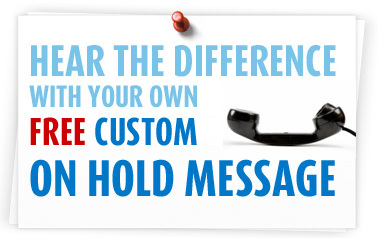 Try it for yourself today with your very own free on hold demo and you will soon see the difference.